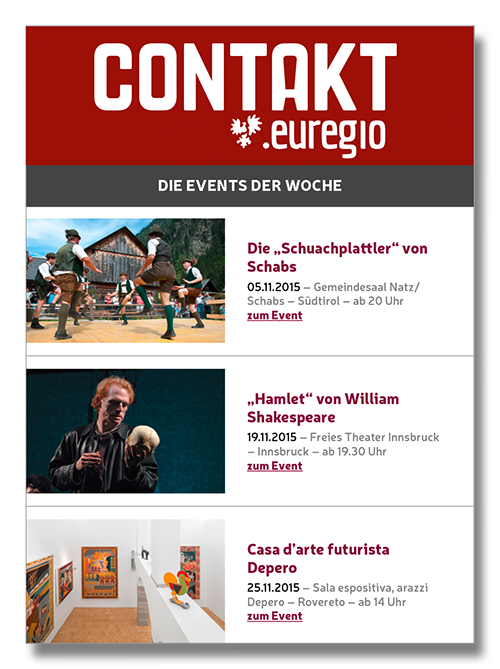 You can display the events from the euregio calendar for cultural events on your website, too. 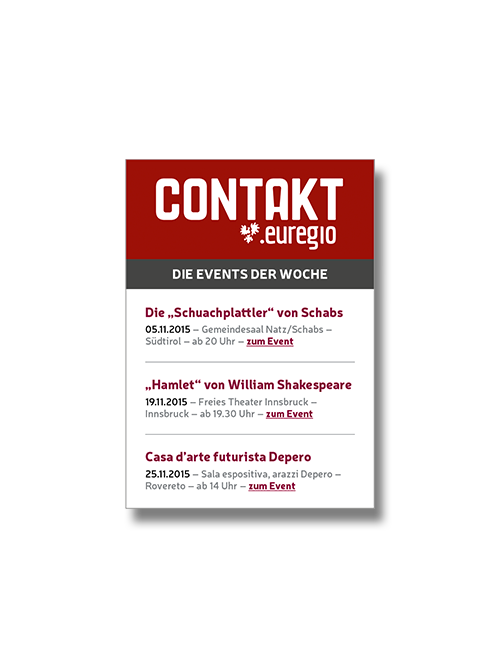 Inform your visitors with an iFrame which is easy to integrate about interesting events from the calendar. Contact us for further information at contakt@longo.digital.